Overlooking the Colline des Gardettes’ hilltop, the formidable spirit of the Maeght family lives on. One can still sense the exhilarating escape of a community where painters, sculptors and artists created their artistic utopia. The collection reflects the bright originality of Aimé Maeght, the man who, as the Belgian artist Pierre Alechinsky said: “made dreams a reality”. Garments are a powerful means of expression: a free-form artwork, sometimes antagonistic, but that creates a unique picture. Unconventional marriages of style, referencing the couture of a century ago, harmonize with the present day. 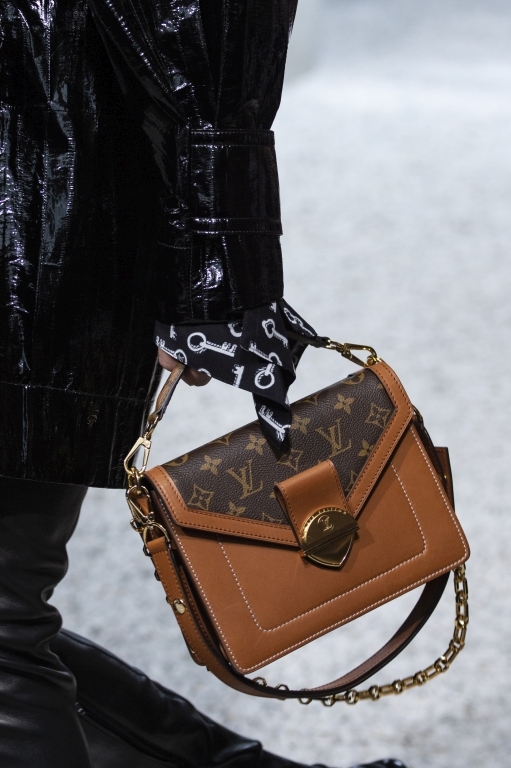 For Cruise 19, Louis Vuitton shakes up its codes. The collection meanders through the extraordinary Joan Miró labyrinth, complementing this unique maze. On this occasion, the House is proud to announce its collaboration with Grace Coddington. An iconic writer, illustrator, and fashion editor, Grace Coddington is well known for her love of animals, and particularly the cats she sketches so charmingly. 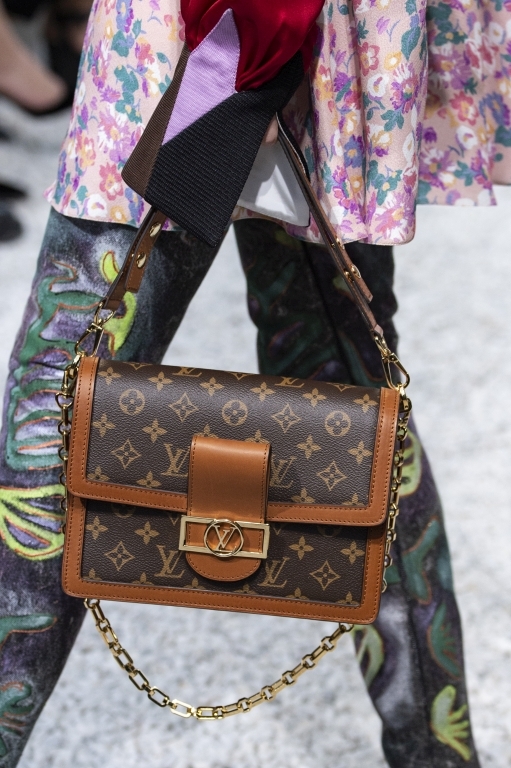 For Louis Vuitton, she has created a line of accessories reprising her imaginary menagerie. 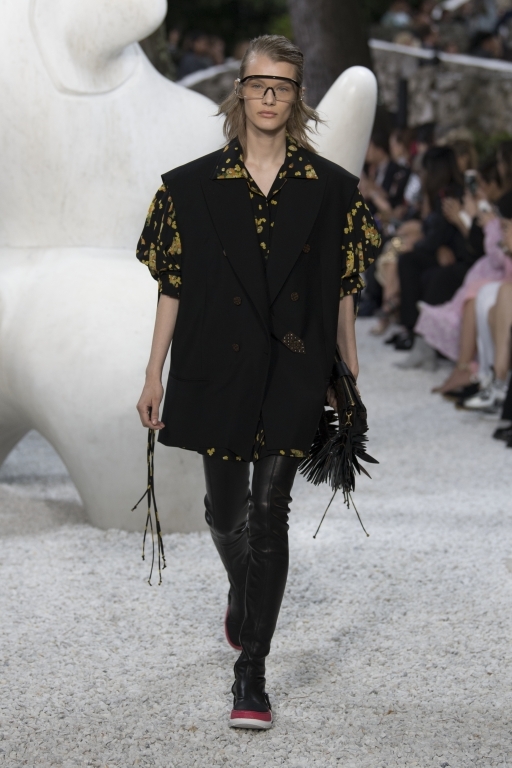 “My collaboration with Nicolas and his team at Louis Vuitton has been so much fun. I hope it will be a dream come true for Pumpkin, Blanket and Nicolas’ dog – it certainly is for me. 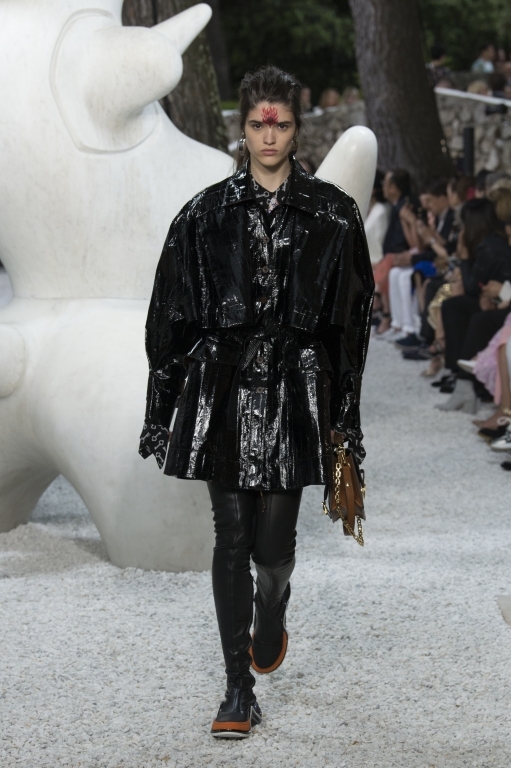 It started with our love for animals, it’s where Nicolas and I really connect beyond fashion,” said Grace Coddington. This exclusive capsule collection will arrive in stores in October 2018. The French artist Woodkid gives a live musical performance in the Giacometti Courtyard, bringing together instruments invented by the Baschet brothers. In the 1950s, they conducted acoustic experiments and created a family of sound structures based on the vibrations of glass and metal, which were especially reprised today. Woodkid also composed the soundtrack for the show, in which Jennifer Connelly reads extracts from the biography “Grace: A Memoir” by Grace Coddington (published by Random House).